St Mark’s Anglican Community School was established in 1986 on a spacious 11 hectare site in the coastal suburb of Hillarys. The School’s excellent facilities, generous playing fields and open, well-kept grounds add significantly to the local beachside community. St Mark’s is a low fee, coeducational school with student numbers of 1500 from Kindergarten to Year 12. St Mark’s Anglican Community School is a school of the Anglican Schools Commission with a mission to build a Christian community of learners, to provide a quality educational experience, and to nurture the whole person in the three dimensions of mind, body and spirit. 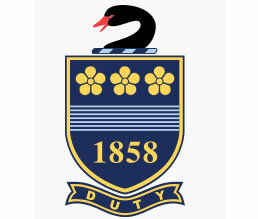 Hale School is the oldest independent boys' school in Western Australia. It was founded in 1858 by the first Anglican Bishop of Perth, Dr Mathew Blagden Hale. Located in the suburb of Wembley Downs, the current campus is situated on a magnificent 48 hectare site, approximately 13 kilometres to the north-west of Perth and two kilometres from the coast. Hale School is an Anglican day and boarding school offering primary and secondary education through to Tertiary entrance Examination level. Whilst day boys are accepted from Year 1 to Year 12, boarders are accepted from Year 6 to Year 12. We aim to engage our boys in a broad, well balanced education, within a Christian environment. The boys are encouraged to involve themselves enthusiastically and wholeheartedly in the wide range of activities that are available as they seek to make the most of many opportunities on offer. The International School of Western Australia is a co-educational, internationally accredited school located in beautiful Perth, Western Australia. The School provides a world-class education based around a Northern Hemisphere school calendar. 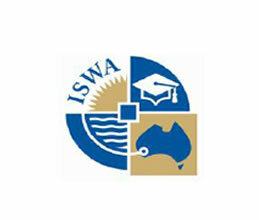 ISWA is committed to providing an inspiring and challenging education for every student within a caring and supportive environment. Everyone is welcome. The School is a non-denominational and the multicultural student body is comprised of Australian citizens, Australian residents and International students. The School’s staff truly appreciate the importance of individual needs and focus on the academic and personal development of each child. In Years 11 and 12, ISWA offers two world-class curriculums – the Advanced Placement (AP) program and the International Baccalaureate (IB), providing a real choice for a truly global education. While the strength of the international curriculum is a core feature of the school, the strength of community is equally important. The International School of Western Australia’s school spirit is built around genuine partnerships between parents, students, educators and school leadership. Together there is a sharing of cultures, experiences, opportunities and aspirations, making the most of being part of an international community that provides opportunities for students to excel and achieve their personal best. 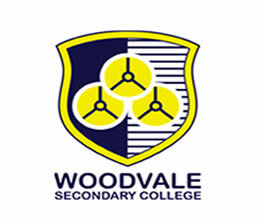 Woodvale Senior High School opened in 1985 with approximately 200 Year 8 students from the suburbs of Kingsley,Woodvale and Edgewater located some 20km north of the city. The catchment area for the school encompasses the middle socio-economic range suburbs of Kingsley and Woodvale and is defined by the boundaries formed by Wanneroo Road and the Mitchell freeway in an east-west alignment and Ocean Reef Road to the north. The south border is in line with the cycle path from Montessori Place to the Mitchell Freeway in Kingsley. Academically, Woodvale students perform at a level above the State average. The Academic Extension Programme receives good community support, the Music Program sees 20% of the population participating in an instrumental program and the school each year presents a number of students who do well in the WACE Examinations. Physical facilities are equal or better than any government school and, in all but a few cases, non government schools. In particular, the campus wide Information Technology Network provides a wide range of digital media capabilities and professional level software, and is noteworthy in that it compares favourably with any of the best equipped schools in the nation. Over the years the school has gathered together an experienced and dedicated teaching and non-teaching staff. Staff turnover, for a number of reasons is minimal. 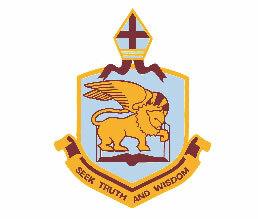 Sacred Heart College is a Catholic Co-Educational Secondary School offering education to boys and girls in Years 7-12. The College was established in 1967 by the Sisters of Our Lady of the Missions who over a period of years since 1897 have operated various schools in Highgate, Fremantle and country areas of WA. Initially a girls’ school, the growth of the population in the surrounding suburbs gave rise to a need for the school to expand its number and enrol boys. The first group of boys was enrolled in 1977. The College is now fully co-educational with an intake of approximately 204 students in Year 7. The full student enrolment is approximately 1170. The College is situated on an 8-hectare site overlooking the Indian Ocean. Extensive playing fields presently include an oval, hard courts for tennis, netball, volleyball and basketball, as well as cricket practice nets. Buildings on site include a Resource Centre, Science laboratories, general classrooms and specialist rooms for Computing, Technology and Enterprise, Media Studies, Remediation and Education Support. The McInerney Centre incorporates a gymnasium and provides facilities for education in the Performing Arts (Dance, Drama and Music). We also have a Chapel. The Pastoral Care Centre is ideally located in the middle of the College and is the focal point for student needs. Within this building are offices for the College Chaplain, Educational Psychologist and the 6 Deans of Students who are allocated to each Year group. 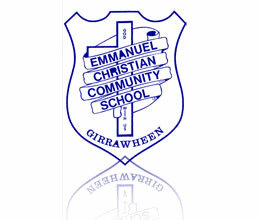 Emmanuel Christian Community School aims to provide an education that stresses co-operation rather than competition, fostering the development of the gifts, skills and abilities of the students for the service of Jesus Christ in the Church and the wider community. Teaching God’s Word to instill lifetime values in the lives of the children is an all important part of Emmanuel’s desire to nurture spiritual growth. The need to develop physically, as well as mentally and spiritually, is of equal importance at Emmanuel. Athletics, team sports and swimming are just part of the overall physical education program. Emphasis is also given to the development of gross and fine motor skills. Computer facilities, laptops and desktop computers are used in the classrooms to integrate technology with learning and all classrooms have access to the Internet. 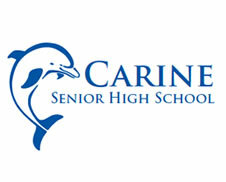 Carine Senior High School is located approximately 15km North of Perth, Western Australia, in the coastal suburb of Carine. The school caters for Years 8, 9 and 10 and offers an extensive range of Tertiary and Non-Tertiary Entrance Subjects in Years 11 and 12, together with several Vocational Education and Training Programs. 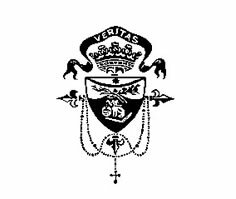 Holy Rosary, Doubleview is a Catholic School founded on the Dominican tradition of truth, love and knowledge. The school community values the dignity of each child and offers opportunities and challenges to all students to reach their potential. Holy Rosary caters for children from Kindergarten to Year Six. Most children attend Newman College for their Secondary Education, however, a separate Enrolment must be lodged with the college. The two stream school has excellent facilities including a Library, School Hall, Computers and sporting facilities. Fees are per family and are most affordable. When parents accept enrolment for their child as a student at Holy Rosary, they imply approval of, and support for, the aims and programmes of the School, and also for the kind of student involvement that the School is striving to achieve. 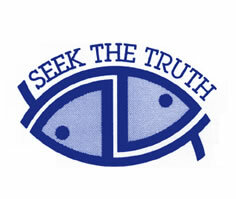 Holy Spirit Catholic Primary School is committed to the Pursuit of Christian Truth and Excellence. All members of the school community are encouraged to develop their potential and special qualities in an environment centred on Christ. St John's is a Catholic school that forms a faith community sharing the church's task of spreading the Good News that a loving God, always present in our lives, will bring us to eternal happiness. 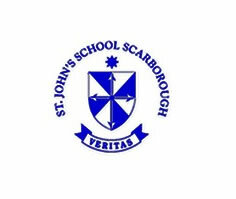 The school forms an educating community that involves students, staff and parents in a welcoming and nurturing atmosphere that is helping its students to make sense of their faith in their daily lives and culture. This emanates from an organised, open and disciplined environment. This enables children to grow towards their true potential, developing the responsibilities and respect this brings to themselves and others. With this, the school generates HOPE and seeks the TRUTH in all its endeavours as it strives for EXCELLENCE. Our Lady of Grace Primary School empowers all students through knowledge, faith and wisdom to live fulfilling lives in our ever-changing world. 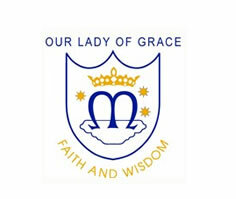 Our Lady of Grace is an Order Owned, Kindergarten to Year Seven, Catholic, co-educational primary school situated in the northern, coastal suburb of North Beach. Most of our students go on to complete their school educatuion at either Sacred Heart College, Sorrento or Newman Catholic College, Churchlands. At St Lawrence Primary School the atmosphere and the curriculum provide the conditions for the faith of staff and students to be active and conscious and to be continually growing. Consequently, Religious Education is explicitly taught and the total curriculum is designed and implemented within the context of Catholic values and attitudes. 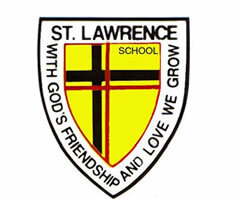 The curriculum of St Lawrence Primary School provides for the total growth of the child and so offers a variety of experiences which will give the student a sound educational grounding. The education offered in our Catholic school should prepare each student for further education and also develop in the child a personal relationship with Christ and a desire to be an active member of the Church community. In such an environment we believe each student will come to believe in his/her worth as an individual and as a child of God. Glengarry Primary School is an attractive school located in the suburb of Duncraig, approximately 15km north of the Perth CBD. The well-kept buildings, featuring student made mosaics are surrounded by tranquil, natural bush land, flowerbeds and well maintained grassed play areas. The supportive, dedicated and experienced staff works collaboratively to enhance each of the approximately 300 students’ physical, social, academic and emotional development. Assisted by continuing professional development, the entire staff is working to prepare students for the many demands and rapid change of the 21st century. The school is well resourced, especially in the area of technology. 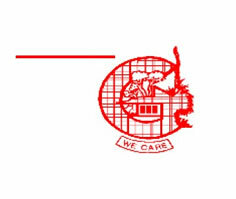 The school’s motto is ‘WE CARE’ and this is evident throughout the whole school community. Padbury Catholic Primary School serves the area of Padbury and other surrounding suburbs within close proximity to the school. 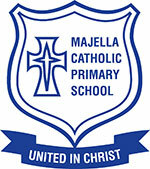 It is a co-educational Catholic primary school catering for approximately 500 students from K-6. Padbury is not attached physically to a parish. The Parish Priest and Assistant Priest of Our Lady of the Missions Parish, Craigie, minister to the Padbury Catholic School Community. The school is owned by the Archbishop of the Diocese of Perth and he in turn delegates the employing authority to the Principal, in consultation with the School Board acting under the approved CECWA Western Australian School Board Constitution and subject to relevant CECWA policies. Lay Principals are appointed by the Bishop of the Diocese. St Luke’s is a Catholic community dedicated to learning. Here you will find an optimistic, vibrant and inclusive school. We value the gifts and contributions of students, staff and parents. All people here are treated with respect. Each member of the St Luke’s school community has an important part in bringing our vision to reality. We live by values drawn from the writings of St Luke and through them we are an expression in the world of God’s redeeming love. In our time here we remain attentive to the sacredness of the present moment. This is a place of courage where everyone can give voice to their aspirations and concerns. Our relationships are marked by empathy and trust. The adults here are strong and conscious role models. In this place power is always at the service of the people. We take risks and so sometimes we make mistakes. We learn their lessons and move on stronger. Laughter is heard here often and we celebrate our success. People here are passionate in their advocacy of depth in learning and in the pursuit of a more just world. We know that the dignity of our work is that we touch the future through and for our children and that tomorrow is being built today. Our students are encouraged to be active learners. They are taught to reflect critically and to be creatively engaged in their own learning. Thinking skills are explicitly taught in all classes. Our learning experiences are rich and diverse, with emphasis put on worthwhile processes and products. Students are supported in their learning by appropriate technology and challenged to engage with the world beyond our immediate boundaries. We research the best educational practice in order to enhance our teaching. The school belongs to all of us. Everyone is called to leadership here and to be involved in decision making. Together we create a dynamic and integrated learning environment aimed at the formation of the whole child. 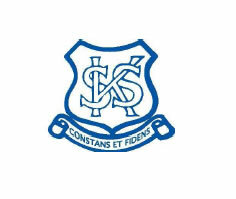 We aim to inspire, to dream and to build the confidence of all members of the St Luke’s community. We are a place of living witness to the power and truth of our Christian faith. St Denis is a co-educational primary school located in Joondanna Perth Western Australia. At St Denis, holistic education of the whole person is at the heart of our strategic vision. Working with parents as primary educators of their children, we are committed to helping students learn and develop their potential and share in the joys of Christian life with which God blesses us. Positive and harmonious unity between students, parents, teachers and all members of our school community is promoted and nurtured through understanding, compassion, respect, love of others, and a shared love of God. 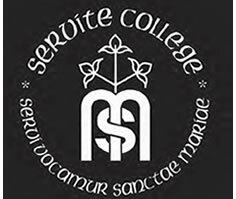 Servite College has long been an icon of education in the Tuart Hill, Osborne Park area. 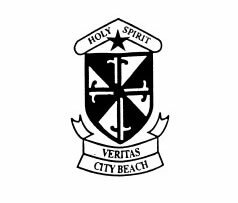 It was opened in February 1958, originally an all-boys regional school named after the great Servite Saint, Philip Benizi. 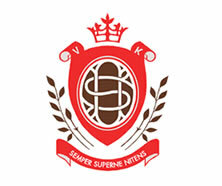 Since 1973 it has grown as a co-educational institution. The Servite Friars have a strong commitment to the College. We have always felt that within the College we have a unique opportunity to promote Christian and Catholic values, with the specific orientation that comes from our almost 800 year old traditions. What is it that makes Servite College different from other schools? First and foremost we believe it is its special Servite spirit towards life and faith. This spirit is traceable right back to the Seven Holy Founders, the small group of men who began the Servite Order in Florence in the 13th century. They came together to share everything and to serve God and others. Mary the Mother of Jesus was their refuge and strength. So, to this day, Servite College believes that it is a community of faith, where we work and study not as so many individuals, but by supporting each other. Servite College encourages both their staff and students to a pervading attitude of service, adopting the words of Jesus: "I have come not to be served but to serve." Finally, we draw abiding inspiration from Mary, Mother and Servant of the Lord. With these ideals, Servite College continually moves forward, ever committing its work to God." In 2005 the St Kieran Catholic School Board undertook a consultative process to establish the hopes, dreams and expectations for the school. The students, parents, staff, leadership team and the Board all contributed to the development of a Strategic Plan. We are committed to being at the forefront of educational leadership and to continue to build a vibrant and engaging environment for our learning community. The Plan provides a rich source of material to guide the development of policies and programs for St Kieran. It ensures the school remains faithful to its motto, mission, vision and values as we revitalise the traditions and charism of the Sisters of Mercy. 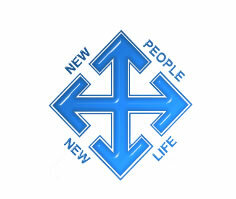 Today, as in the beginning, we welcome each community member into a Catholic, accepting, Christian family, where each persons individuality, uniqueness and cultural background is recognised, respected and valued.